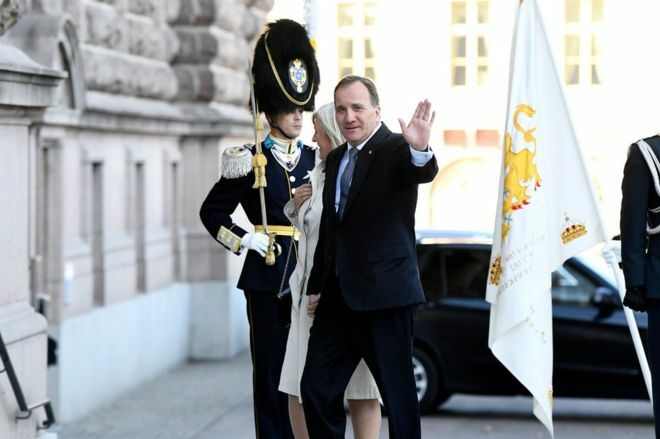 Sweden's centre-left prime minister, Stefan Lofven, will have to stand down after losing the support of parliament. The anti-immigration Sweden Democrats (SD) backed the vote to remove him, weeks after a general election that delivered a hung parliament. Mr Lofven was opposed by 204 MPs, with 142 voting in favour. The parliamentary speaker will now propose a new prime minister, with centre-right leader Ulf Kristersson seen as the most likely candidate. Mr Lofven is expected to stay on as caretaker prime minister while his replacement is decided, in a process that could take weeks.